I used to have this same problem about a year ago. I was going through the book The Bread Bible (by Rose Levy Beranbaum) and using active dry yeast. My dough would not rise in the times she would state in the recipe. I finally found a page in her book that showed conversion factors for different types of yeast. Below is the link to her site which has the same. 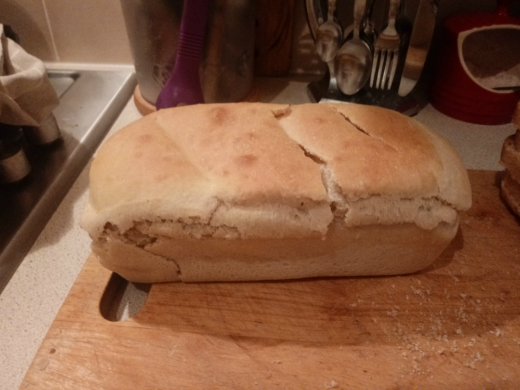 I ended up swapping to instant yeast and getting better results. My loaves would be closer to what they were in the book. Now I know to watch the dough instead of following the times in the book but starting out there is nothing wrong with watching the time as a guideline to help to know what to look for. When I was using the active dry yeast I never activated it either so I can't really answer that question. I've been using ADY because that's what they carry. A 2-pound brick for $5-6 bucks is hard to say "No" to. So, I routinely hydrate the yeast in whatever liquid there is in the bread before proceeding with the rest of the steps. If there's an autolyse involved, I'll set aside some of the liquid for use with the yeast after the autolyse. While I hear that ADY and IDY are closer in their properties today than they were some years back, a quick soak for the ADY still seems like a good bet. I can see that ADY granules are much smaller than they used to be but I have had freckled bread on a couple of occasions when the yeast didn't hydrate fully. Giving the yeast a quick soak ensures that it is activated and ready to go to work without posing any real hardship for me. As for leavening power, ADY works just fine. It's important to hydrate dried yeast at the right temperature. This temperature is higher than many people might think. Redstar for example recommend a water temperature of 110 - 115F. If instant yeast is added to the liquid instead of the flour, this should also be done at a similar temperature. Of course lower temperatures will work, but may give poor mixing of the yeast and lower activity resulting in slower fermentations. Haha! I can relate. I once asked my boyfriend to put the bread in the oven when it doubles, in about an hour. Also I told him to put it on a rack to cool after it bakes. Then I went to bed full of optimism and hope completly confident in my ability to explain new concepts to him. Agreed - activating the active sound a little strange. Perhaps better to think of it as rehydration! ADY and IDY I found the, both to be completely reliable. Although in theory IDY is supposed to be more reliable because its an engineered product, I couch not find and reliability difference in my baking nor in any of my friends baking. IDY is engineered by having a different granule size (to allow for longer theoretical survivability) and there are dough conditioners added. The most common dough conditioner I have seen is Ascorbic Acid which makes the dough softer, allowing for a theoretically better rise and a more controlled pH. For me the dough conditioners make my dough runny so it Maes my life noticeably more difficult. Ultimately I switched to ADY years ago because it works reliably, I never hydrate the ADY since I have no problems with it whatsoever.